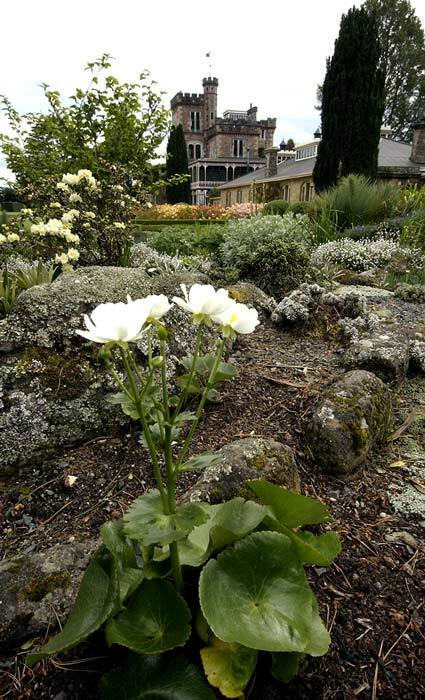 One New Zealand’s flowering gems is the Mt Cook lily (Ranunculus lyallii), growing here in the rock garden at Larnach Castle, near Dunedin. This alpine plant is actually a buttercup but, unlike most buttercups it produces flowers with pure white petals. It is best grown in a cool climate, in a spot with excellent drainage.